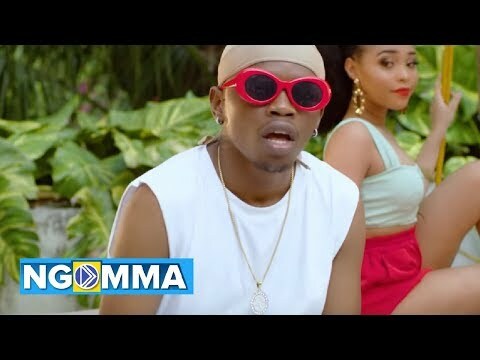 Talented Tanzanian singer, Marioo is out with an amazing new song titled “Manyaku” and it’s making all the waves and has got tongues wagging in the industry, and deservedly so since the song is as topnotch as they come. Produced by Blaq Boy Beat and mixed by the badass engineer, Young Keyz, “Manyaku” is Marioo‘s first offering since featuring on video vixen, Amber Lulu‘s “Machozi” that was released earlier this month. Marioo is a force to reckon with on the Tanzanian music scene with several singles to his name and the Swahili-speaking musician is rocking many boats in Dar es Salaam with his humorous but real lines. He is well known for hit singles like “Mapesa” and “Yale” and has worked with several notable artistes including Mesen Selekta, Msama and Abbah. Marioo was on fire last year with the release of “Aslay” in April last year. April this year, he caught the industry off guard with the release of “Yale”, a song that was produced by the trio of Black Boi Beatz, Young Keyz Morento, and Deey Classic. Last month, he was on Mwasiti‘s remix of “Bado” alongside Mwana Fa and Chege before joining Abbah and Mesen Selekta on “Chombo Ya Fundi” later in the month. The same July, he collaborated with G Nako on “Nyatu Nyatu” before rounding off the month with his own personal offering, “Chachandu”. “Manyaku” joins the league of great songs released by Marioo and we are delighted for its release and invite you to listen and have for yourself an amazing listening experience. To enjoy, stream or download below and don’t forget to share your thoughts with us.